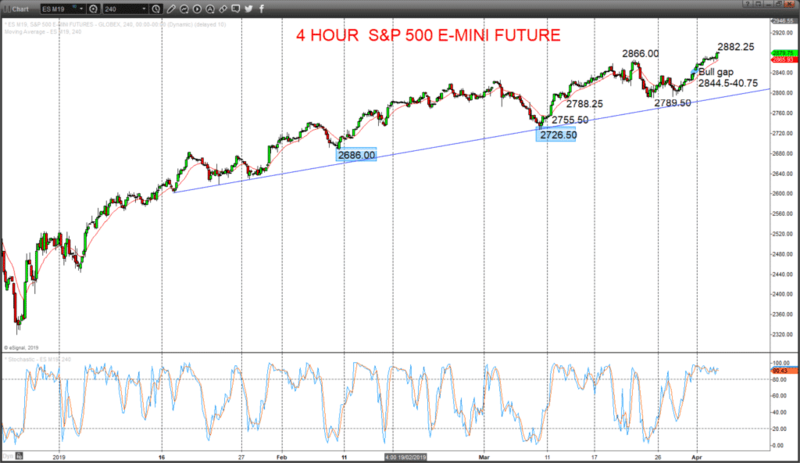 On Monday we looked at the re-energizing bull themes for the S&P 500 and the German flagship index, the DAX. This bullish tone has been reinforced by subsequent firm trading activity after Monday’s bull gaps to the upside, but more significantly overnight by positive geopolitical developments. The Financial Times reported that top US and Chinese officials have resolved most of the issues standing in the way of a trade deal, which has seen major Asian equity averages surge higher and sees European and US equity market futures pointing to new cycle and 2019 highs for today. 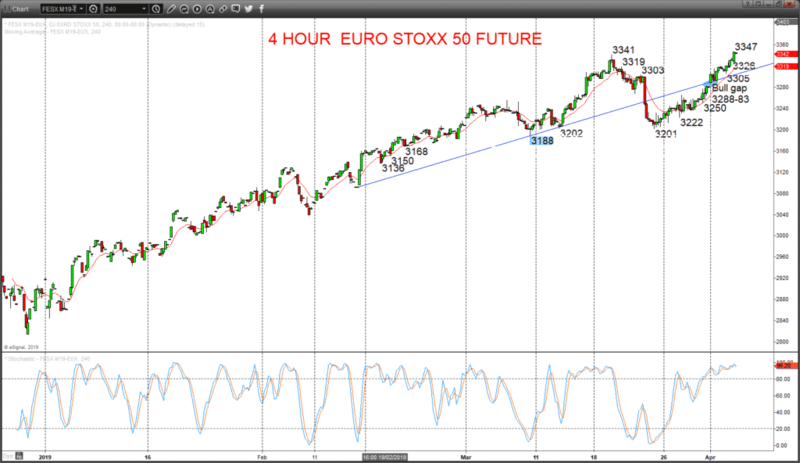 Here we first revisit the S&P 500 and then spotlight the pan-European benchmark equity average, the EURO STOXX 50. A high-level consolidation Tuesday of Monday bull gap advance (gap at 2844.5-40.75), then a frim push higher overnight through the recently set 2873.5 cycle high and our 2875.0 resistance, to build on Friday’s solid rally above notable 2835.0 resistance, to keep risks higher for Wednesday. We see an upside bias for the new 2882.25 cycle high and 2886.75; break here aims for 2895.5 and 2900.0, maybe towards 2911.75. But below 2862.25 aims for 2853.75 and maybe targets the support gap at 2844.5-40.75. A prod higher Tuesday for a better push through 3319 resistance, to build on Monday’s bull gap at 3288-83 (above the 3303 impulse level), then a strong advance overnight to a new cycle and 2019 high above 3341 to 3347, to keep risks higher for Wednesday. We see an intermediate-term bull theme whilst above 3188. We see an upside bias for 3347; break here aims for 3357, maybe towards 3371. But below 3326 aims for 3305 and maybe opens risk down towards support gap at 3288-83 3261. What Changes This? Below 3188 shifts the intermediate-term outlook straight to a bear trend.